Linkam Scientific Instruments has launched a new insert gas regulator for its relative humidity controller, the RH95, to use with its range of temperature stages used in the characterisation of materials, pharmaceuticals and foods. The RH95 relative humidity controller provides precise environmental sample control to Linkam's range of temperature stages. Since its introduction, there have been many applications found, ranging from testing and characterising new photovoltaic materials to the characterisation of pharmaceuticals. 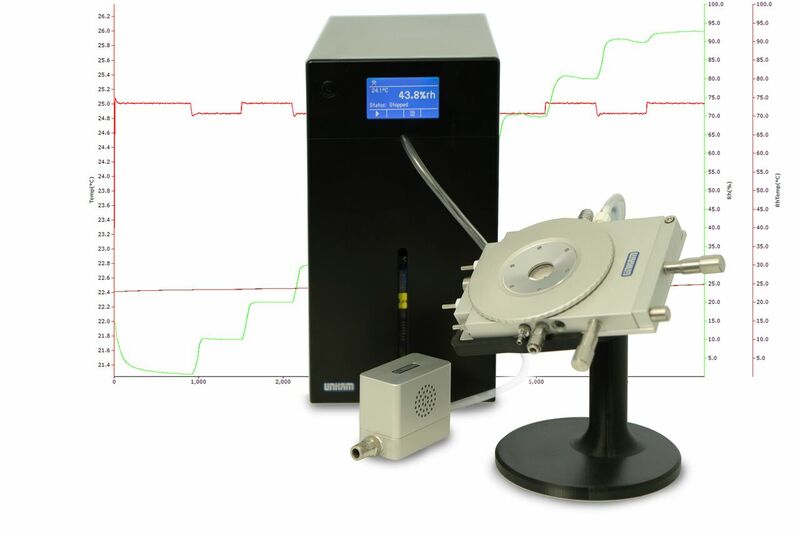 The RH95 can be used to control humidity inside one of Linkam's many temperature stages or other sealed chamber up to a volume of 2000ml from 5 to 90% RH. Unlike some other humidity control systems, no costly dry air supply is required. Ambient air is dried through a specially designed automatic recycling desiccant system and so can be left controlling humidity for months at a time. Rather than simply monitoring the humidity of the air supplied to the chamber, a sensor is mounted inside the chamber to create a feedback loop to the controller, ensuring precise control. Humidity can have a significant effect on the properties of a material. These include cosmetic surface effects to changes in a sample¹s mechanical properties and chemical changes such as creating polymorphs. Such experiments can be performed with the RH95 and Linkam heating cooling stages such as the LTS420 and THMS600 or the TST350 tensile stage. Linkam has introduced a custom-designed gas regulator for the RH95 controller. As well as drawing air through the chamber, users now have the option to use nitrogen as the carrier gas for the water vapour The regulator allows the use of bottled or piped nitrogen gas with up to 5Bar input, which is automatically regulated down to a safe level for use with the RH95.The use of nitrogen as a carrier gas is important for studies where researchers want to remove the effects of oxidation and corrosion that may be caused by oxygen in ambient air. This opens up a whole new range of applications and experiments for the RH95, such as isolation studies.